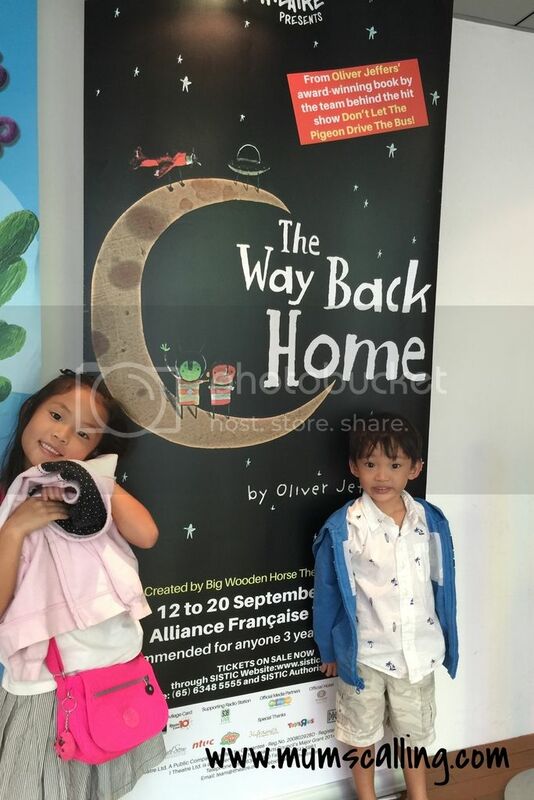 Js are huge fans of Oliver Jeffers' books, and so when they saw that 'The Way Back Home' is coming live on stage, they enthusiastically asked to watch! The kind of enthusiasm that you know is very much to their pleading advantage. Of course, we were glad to have caught it! Big Thanks to itheatre for bringing back UK theatre company Big Wooden Horse, for this entertaining production. The Way Back Home is an inter-galatic tale about a little boy seeking adventure. The story goes with the boy who one day finds a plane in his cupboard and doesn't remember leaving it there, but decides to take it out for a go right away. He explores his plane, flies higher and higher until he runs out of petrol and lands on the moon. He is frightened, lost and alone until a passing Martian lands there, where they became friends and brainstorm for solutions to find their way back home. The production, put together by two casts was well paced for little children aged 3 and above. 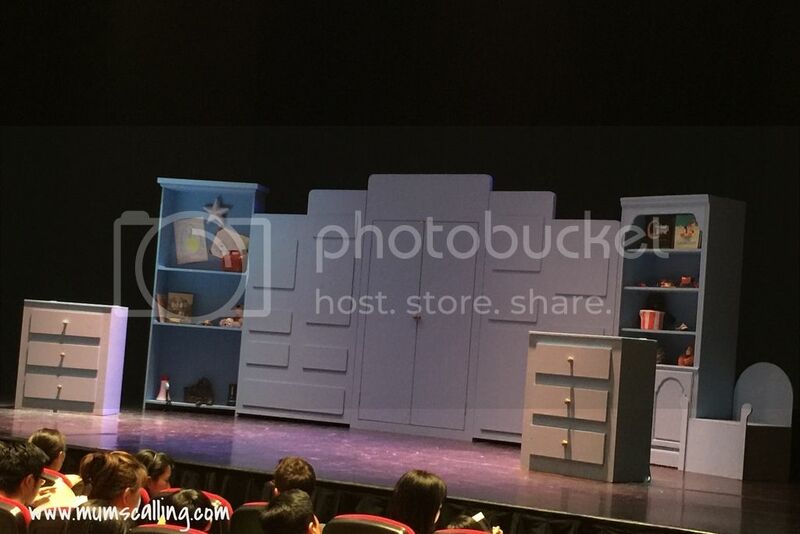 Set in a bedroom setting where the casts sparked off a chapter of imaginary and pretend play moments with their main props, propelling plane and lighted spaceship. It very much exhibits the element of 'play' to little children and show them how they can use imagination to create any story they want. A bedroom isn't a bedroom when their imagination is wild. In midst, the show was also highly interactive, it got the kids much involved in the play. I love watching how spontaneous their reactions and responses were. There were just so many happy children in the theatre! The show was lyrical too, tunes sang by the casts were soothing and catchy. Js enjoyed it very much! This whimsical play is not just a reflection of creative imaginary play, it also is about friendship and farewell. It definitely is comforting to know one is not alone in times of trouble and that every being (or alien) has to return to where they belong. A great catch, especially for fans of the story. 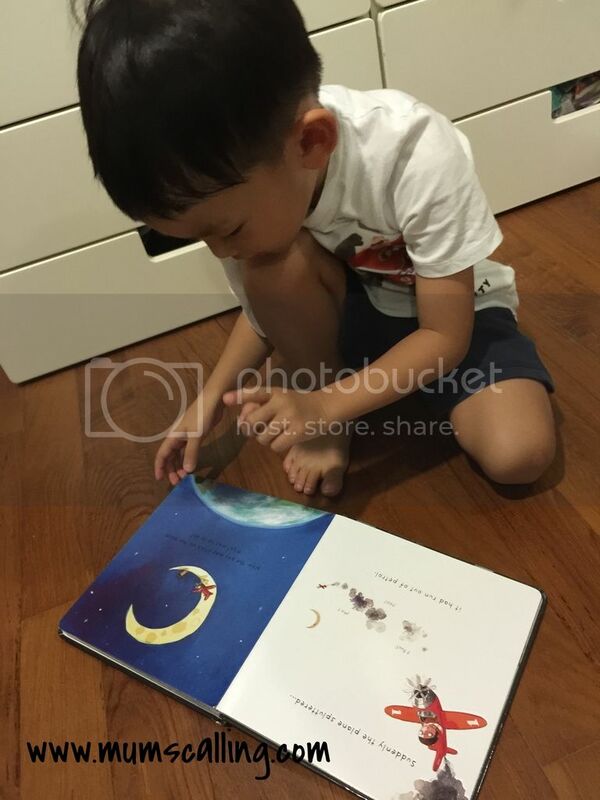 And this boy went home to verify the scenes played, with his storybook. He must be really in love with it! I might be finding an aeroplane hiding in his cupboard soon. The Way Back Home will continue to run till 20 September 2015 at Alliance Francaise Theatre. Ticketing information here. If you intend to drive, do be early as parking is limited. There are however, alternative parking areas nearby. Disclaimer: We were given 2 tickets for the purpose of this review. All opinions are photos are as usual, solely ours.